September 1-11 is Concussion Awareness Week. Take the pledge to be EDUCATED on the signs and symptoms of concussions, to be HONEST with your coaches, teachers, parents and teammates, and to be SUPPORTIVE of anyone who gets concussion! UYSA challenges it's players and coaches to take the pledge for a safer soccer experience! 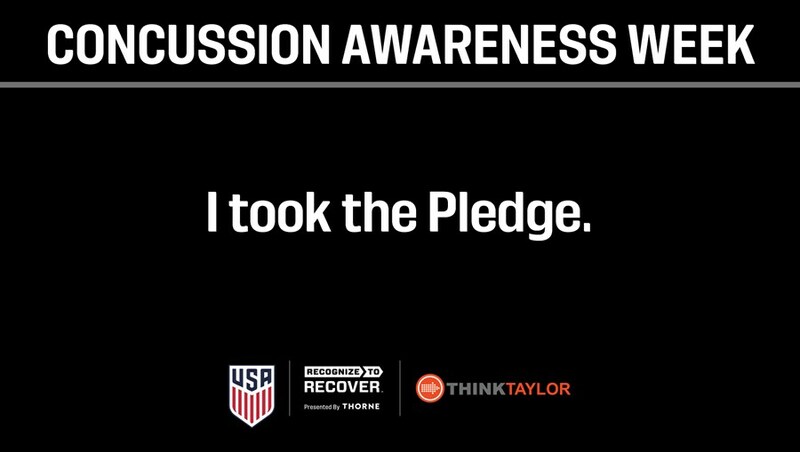 CLICK HERE to see what U.S. Soccer has to say about Concussion Awareness Week and the Think Taylor Initiative.